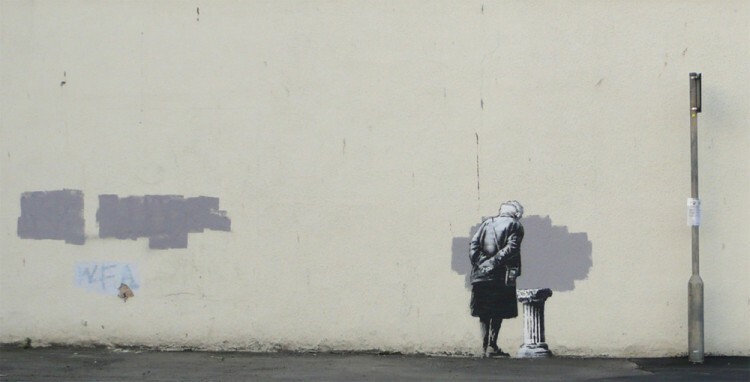 A new piece by Banksy (confirmed on his website), has appeared in Folkestone in the UK. 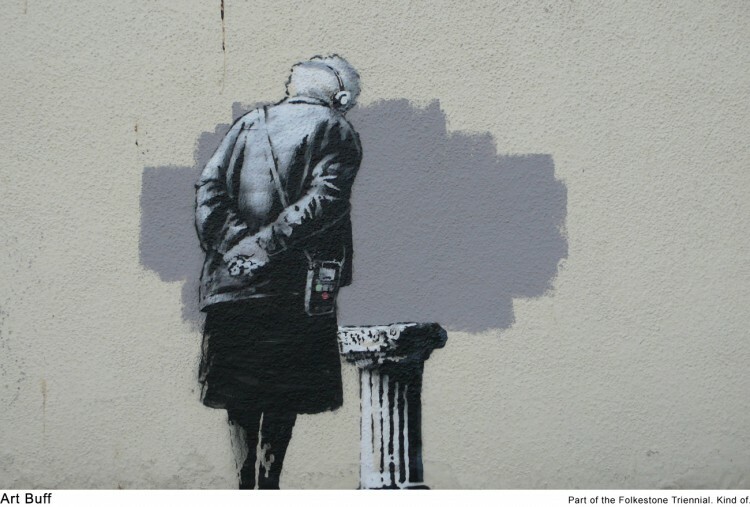 Titled “Art Buff” the piece shows an elderly woman looking at something on a pillar. Obviously the word buff ties to the fact that whatever she is looking at has been ‘buffed’ out from the wall. 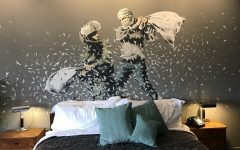 Its always good to see fresh Banksy pieces pop up – as they do so spontaneously. I’m not fully feeling this particular piece though. It doesn’t stand out for me.